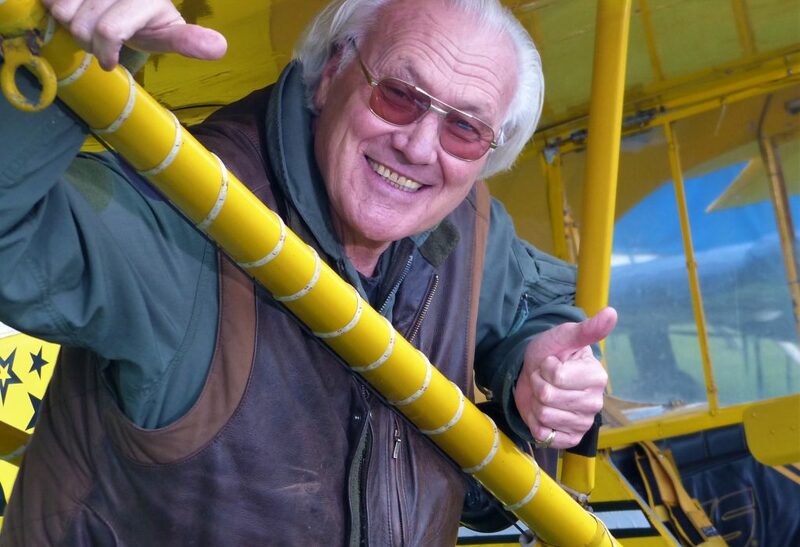 The idiosyncratic 70-year-old is sitting in his yellow and black Piper J3 Cub – an aircraft even older than he is – and gesticulating wildly. 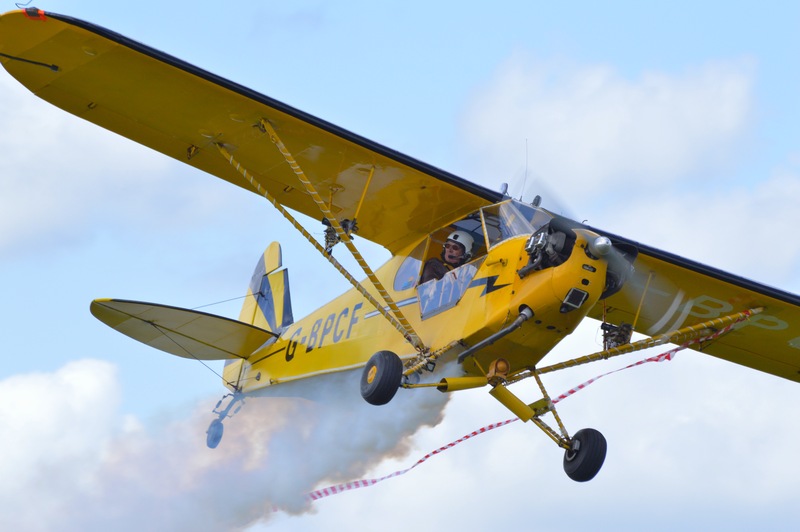 It’s fair to say that both plane and pilot have had more than their share of adventures: it is this Cub Brendan uses for his trucktop landing act at airshows across Europe, as well as “crazy flying” and twilight shows with pyrotechnics shooting from the wings. Like the ‘skygasm’, almost everything Brendan does in life is out of the ordinary. He started out as a hot air balloonist and glider pilot before getting involved in an expedition with Ranulph Fiennes in the 1960s. It was during a parachute training jump as part of the expedition that Brendan got his first taste of powered flight. In the early 1970s, Brendan learned to fly Fournier RF.5s and Stampe biplanes at Biggin Hill, and says he was able to fly respectable aerobatics long before he mastered the art of landing. He later joined the Tiger Club – an aviation sports club – where he met the leader of the Rothmans Aerobatic Team and was invited to be the team’s commentator and fly the spare aircraft. In the mid-80s, Brendan took a break from the airshow scene (“you need to in this game”) and flew Twin Otters in the Antarctic for the British Antarctic Survey, before returning to the UK to begin his next airshow venture: the trucktop landing. Imaginative, yes – but also perhaps just a tiny bit mad? As Brendan bursts into a rousing chorus of “only mad dogs and Englishmen go out in the midday, out in the midday, out in the midday sun!” it certainly seems like a distinct possibility, but its virtues are such that I quickly excuse it. The idea is very simple: a full-size polystyrene house sits on pneumatic rams and a trench filled with explosives in the middle of the airfield. As Brendan flies directly towards the house, he fires the rams using a button on the control column, causing the house to detonate in an enormous fireball. “Then also the best bit is the wheels on the aircraft get blown off,” Brendan added. 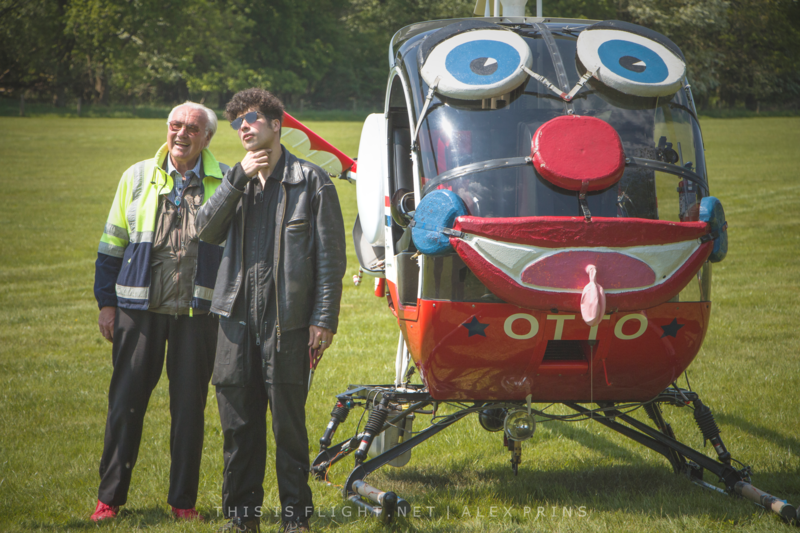 “And then I have to put them back on again by flying over the top of a truck and somebody hands up a set of wheels. Believe me, it’s good. But I haven’t managed to get that one going yet, that’s saved up for the future, so if anybody fancies having a go at that, you’re welcome!” They certainly are – Brendan flying through an exploding house has suddenly become something I want to see very badly. And if anyone can make it happen, Brendan can.